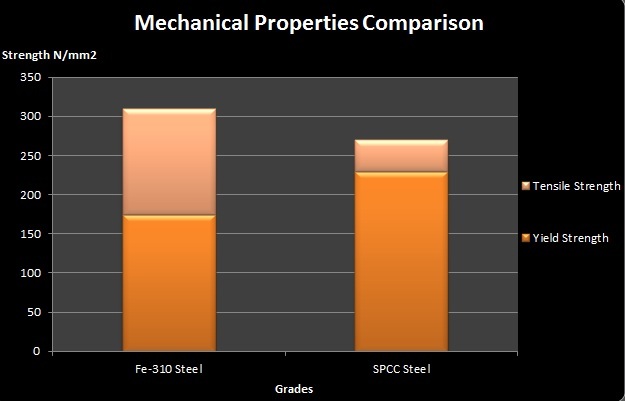 What are 301 Stainless Steels? 301 stainless steel is basically found in its austenitic structure with chromium and nickel base. Specialty of this alloy is the fact that it non-magnetic in annealed state but when it is cold worked it becomes magnetic. Under the American standards, this type 301 can be widely maneuvered for wide range of mechanical properties. The most common available temper grades of 301 materials are quarter hard, half hard and full hard. 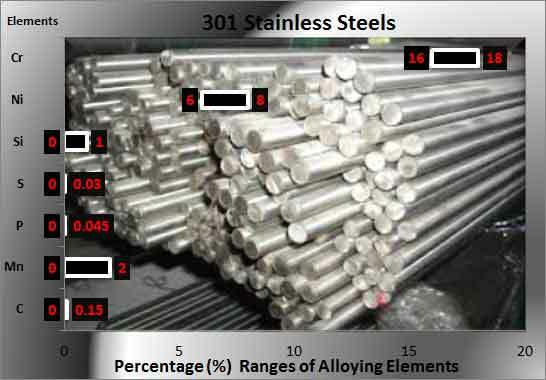 Dimensional Characteristics of 301 Stainless Steels: The applicable thickness in millimeters for this 301 Stainless Steels ranges from 0.2 to 4.75 whereas the width in millimeters is from 600 to 1200, also available in various slit forms of varying width as per customer demands. Crux: The best corrosion protection of 301 type is acquired in the cold rolled state rather than annealed form. This grade is not hardened by annealing instead it is hardened by cold working specifically cold rolling. During cold rolling this type hardens at a higher rate. It is difficult to undergo formability as other grades in the family. During strain hardening its austenite structures transforms to martensite. There are some issues with the welding, i.e. due to weld & the heat affected zone material loses temper in that region. Spot welding is normally used to weld 301 type. Hardness are specified by its temper grades i.e. half hard, quarter hard and full hard temper grade. 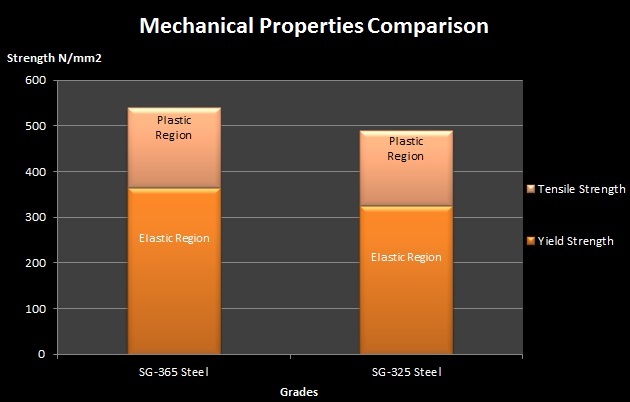 Tensile strength is from 185 Mpa for full hard grade in some technical sources. Yield strength is from 140 Mpa for full hard grade in some technical sources. In JIS standard, the equivalent material is referred as SUS 301 type steel. In DIN standard, the equivalent material is referred as 1.4310 type steel. In UNS standard, the equivalent material is referred as S30100 type steel. 304 stainless steels : AISI 301 steel displays high corrosion protection almost comparable to 304 stainless steel in mild environments. One can describe that resistant in food applications and atmosphere is incredible. It can withstand stress cracking as in the case of 304 grade. 316 stainless steels : In specific realities 316 stainless steel can substitute 301 type steel. Where you require a higher corrosion protection & a lesser work hardening phenomenon then 316 can be the ideal grade to be carried for the work.